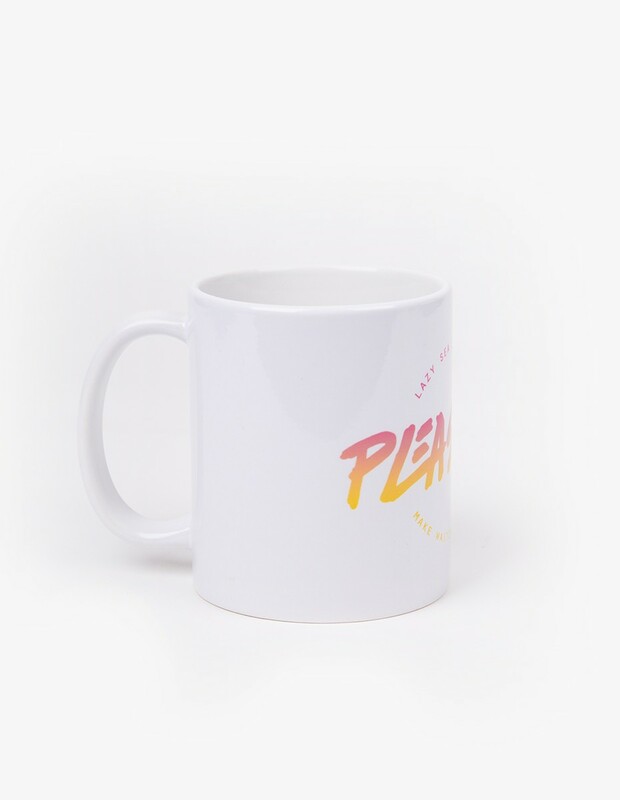 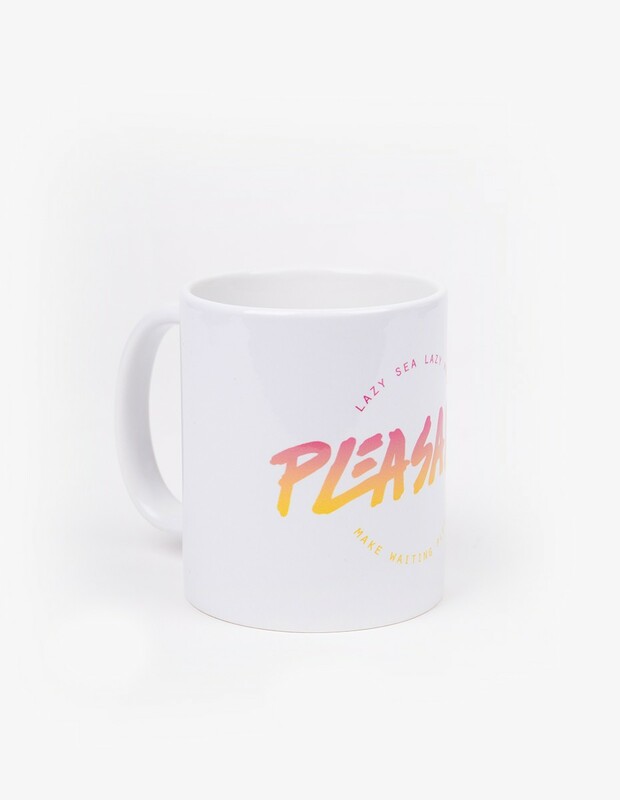 The Pleasant Baywatch Mug with 80s inspired typography. 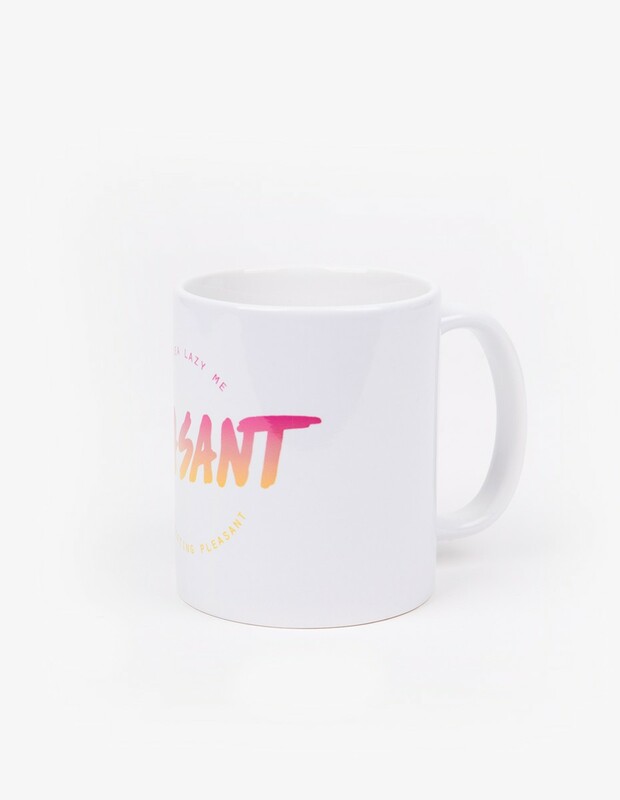 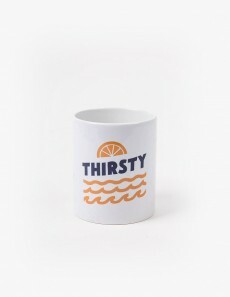 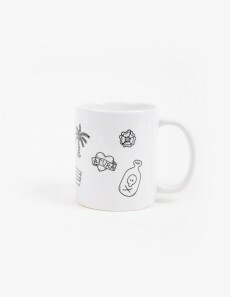 Drink your morning coffee in style. 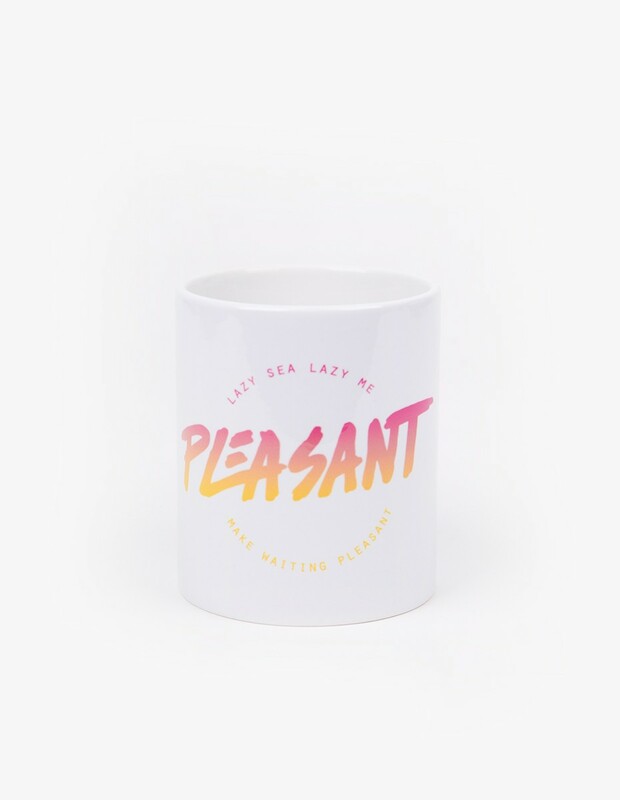 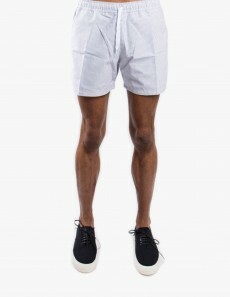 Pleasant, what else?